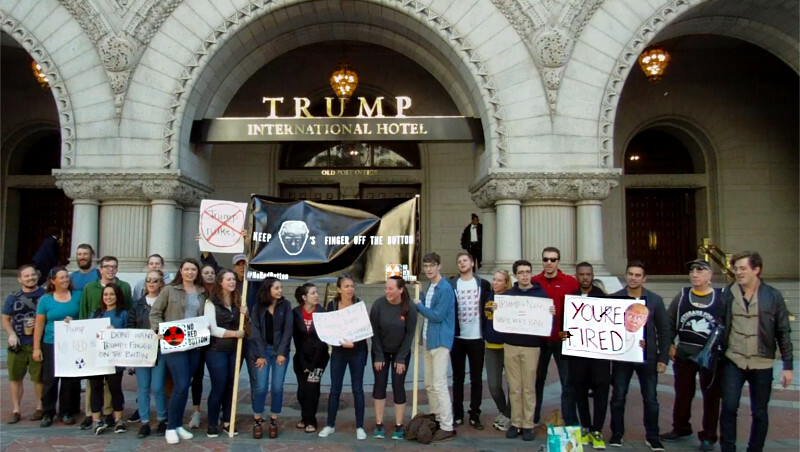 On the 29th of October, the No Red Button Campaign protested in front of Trump Hotel, warning that Donald Trump is just too unstable to be trusted with US nuclear launch codes. About an hour later, the best a contingent of Trump supporters could do was "lock her up," Donald Trump's infamous and unprecedented pledge to jail his rival Hillery Clinton if elected. In truth, both protests show that Trump is unfit for office. The Shortwave Report 10/28/16 Listen Globally! Read more about The Shortwave Report 10/28/16 Listen Globally! 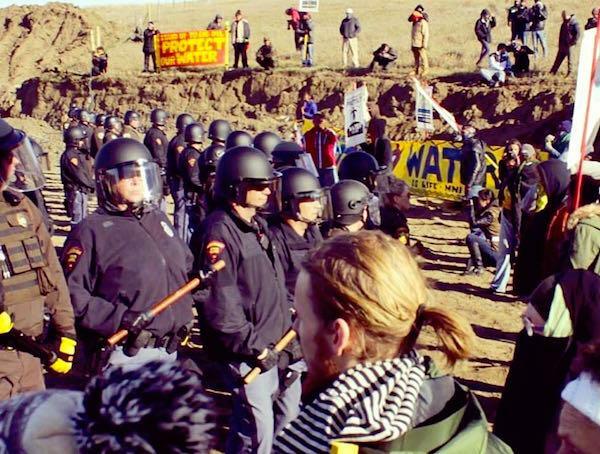 On the 27th of October, police fired rifles or shotguns at horses and riders on horseback during a military style assault on the new Treaty Camp set up across the route of the Dakota Access Pipeline. At least one person hit with rubber bullet, two horses shot with live rounds. One horse has died. 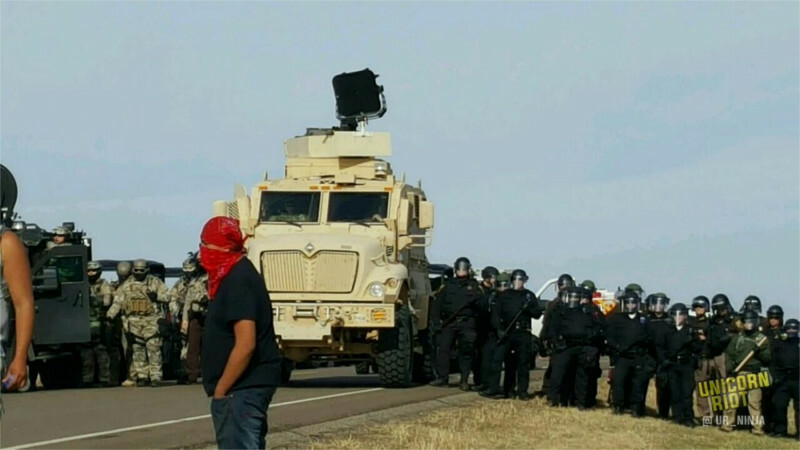 In addition to the gunfire, they fired pepper spray and an LRAD sound cannon, and made 24 arrests of water defenders on foot who made a stand against the minions of the Black Snake. NBC News reports other arrests drove the total to more than 100 people arrested. Not sure if this refers to Red Warrior Camp itself, the new camp directly across the pipeliine route, or another position but this is urgent. 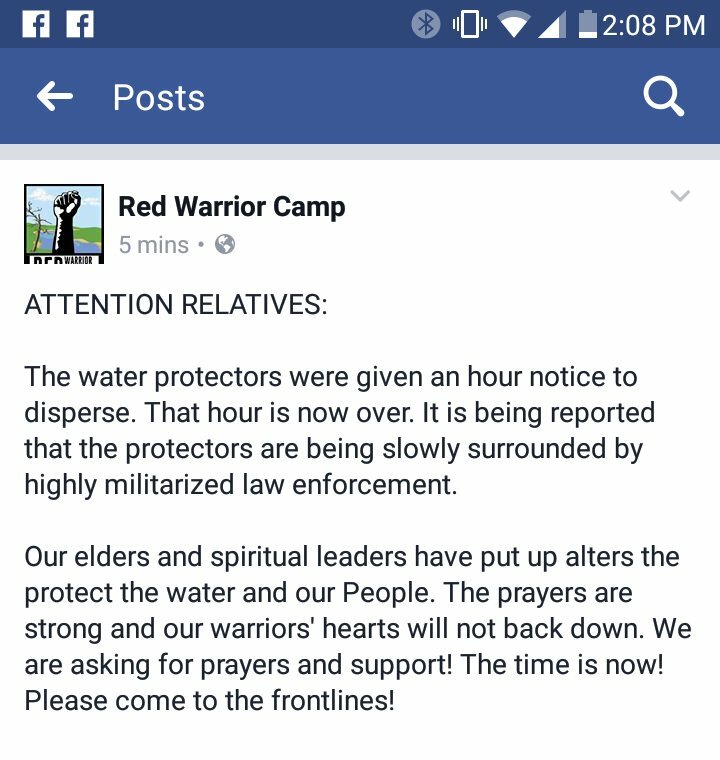 At 8:08PM on Oct 26, Red Warrior Camp put out notice that militarized law enforcement was slowly surrounding water protectors after an hour's notice to disperse was refused and waited out. They are asking those who "have the means" to deploy to their positions in N Dakota to do so now. On the 26th of October, Donald Trump planned to stage a ceremonial ribbon-cutting to "open" his hotel on Penn Ave. Protesters got there first and defied police demands to shut down and move. Thus the ribbon cutting had to be held indoors while an ever-growing number of protesters from ANSWER, trade unions, Code Pink, and many more groups controlled the Plaza. 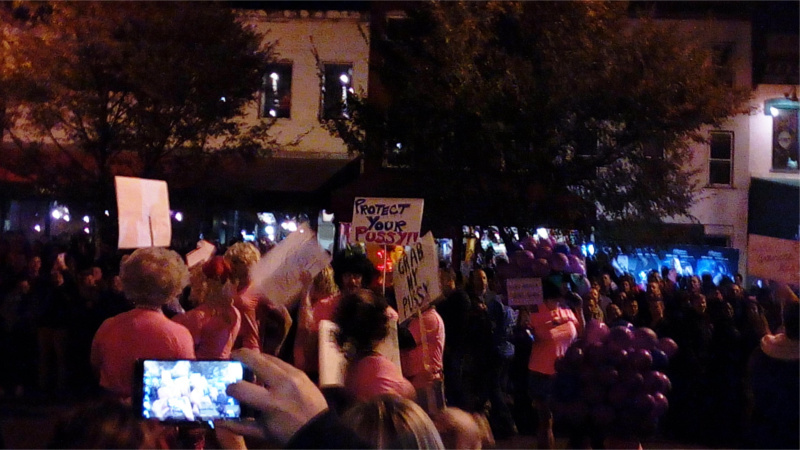 The annual high heel race on 17 st is on the last Tuesday before Halloween and is known for political contestants in election years. This year was no exception, with a whole contingent of runners in high heels posing as Trump supporters but mocking his vulgar sexist remarks and grabby hands. Trump-loving "Alt-right" speaker at U-MD cancelled citing "security expenses"
On the 25th of October, Breitbart editor Milo Yiannopoulos was scheduled to speak at University of MD. He is known for directing hate at Muslims and at Black Lives Matter activists. With other universities at which he peddled his hate claiming to have received bomb threats,Terps for Trump(the student group hosting his event) cancelled, claiming security expenses would exceeed $2,000 and the total expense of letting him speak exceed $6,500. Hate has been made too expensive even for priviliged white republicans at University of MD. 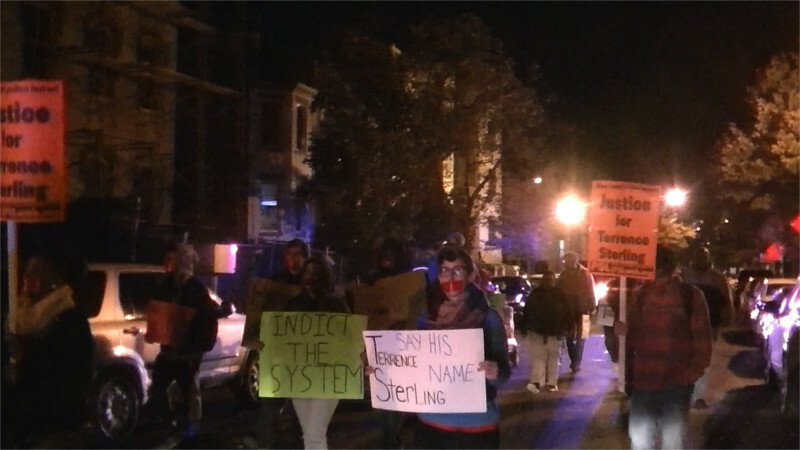 Read more about Trump-loving "Alt-right" speaker at U-MD cancelled citing "security expenses"
On the 24th of October, Black Lives Matter activists gathered once again at 3rd and M st, where Terrence Sterling was shot off his motorcycle by a cop who rolled down his window and opened fire on Sep 11. 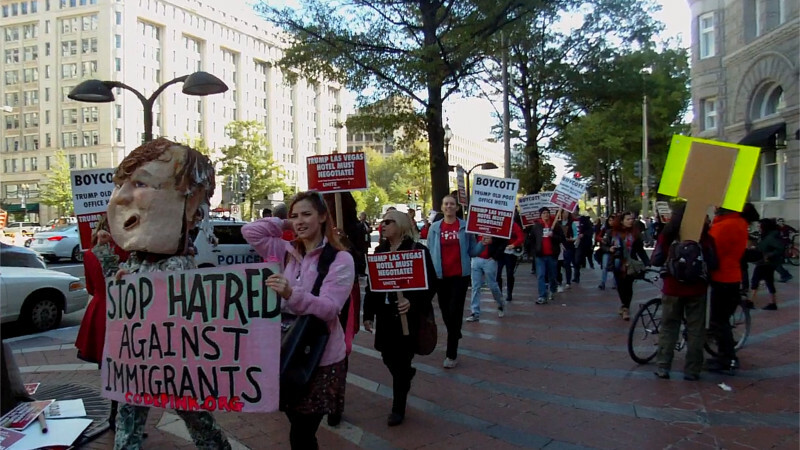 This time, protesters marched around the block with red tape over their mouths symbolizing the obstruction of justice by Mayor Bowser and the police as the community seeks answers and the rest of the video footage of the shooting. The situation at Standing Rock has escalated again. On the 24th of October, a new #NoDAPL camp was set up directly across the route of the pipeline. The tribe has claimed the land under eminent domain and an 1851 treaty, using one of the pipeline builder's own tactics against them in doing so. The police have responded with rubber bullets and pepper spray in an attempt to break this new front line. On the 23ed of October, the "Take Back Democracy March on DC" condemned Hillary Clinton for rigging the Democratic primaries to defeat Bernie Sanders. 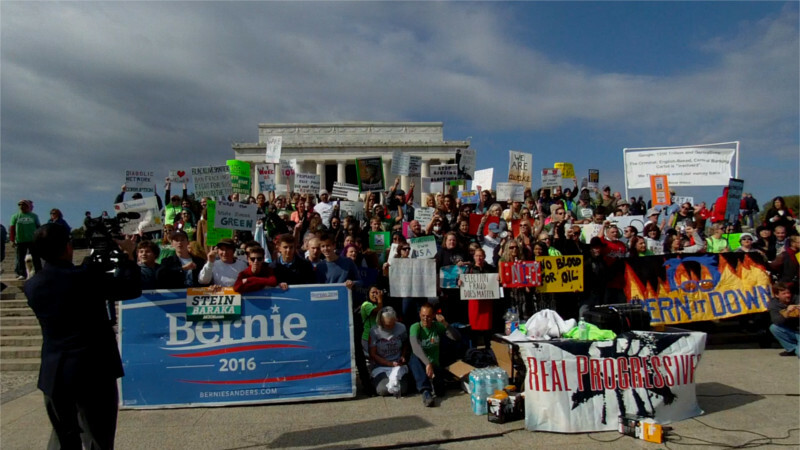 The majority of the march appeared to support Green Party candidate Jill Stein as an alternative to a ballot they say is rigged by controlling both sides. Demonstrations mark the opening of the new Donald Trump hotel in the historic Old Post Office Building in Washington DC. Trump security claims a section of Pennsylvania Avenue as Trump private property. Go here to download clean video without text. On the 20th of October, Metro's board held a public hearing on proposed service cuts and fare hikes for Metro, including the proposed permanent midnight closure even after "safe track" is finished. 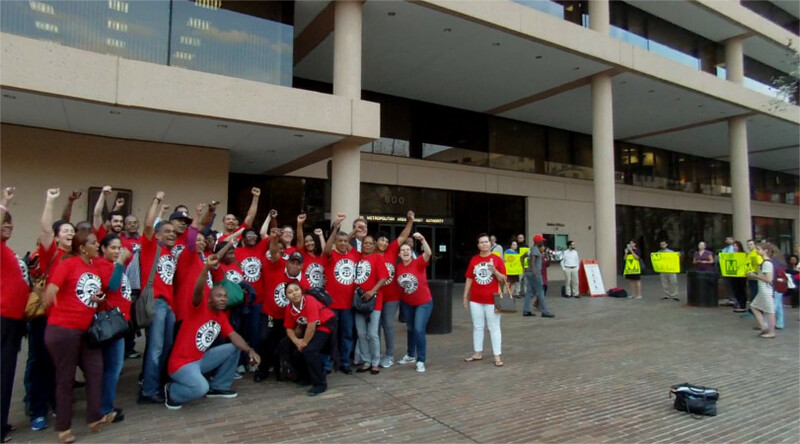 Over 60 people spoke against the proposals at the hearing and more protested outside.